Each year CBS students are involved in creating hampers at Christmas time for our local Conferences of the Society of St. Vincent de Paul. LCVP students took on the task this year as part of their Enterprise module. The school community was informed through letter, text message and student reminders, and once again the school community responded with amazing generosity and goodwill. The contributions included much needed food items, treats and financial donations. The LCVP students then sourced and purchased items needed to supplement the donations received and the baskets themselves. We cannot thank the parents and students enough for their generosity. 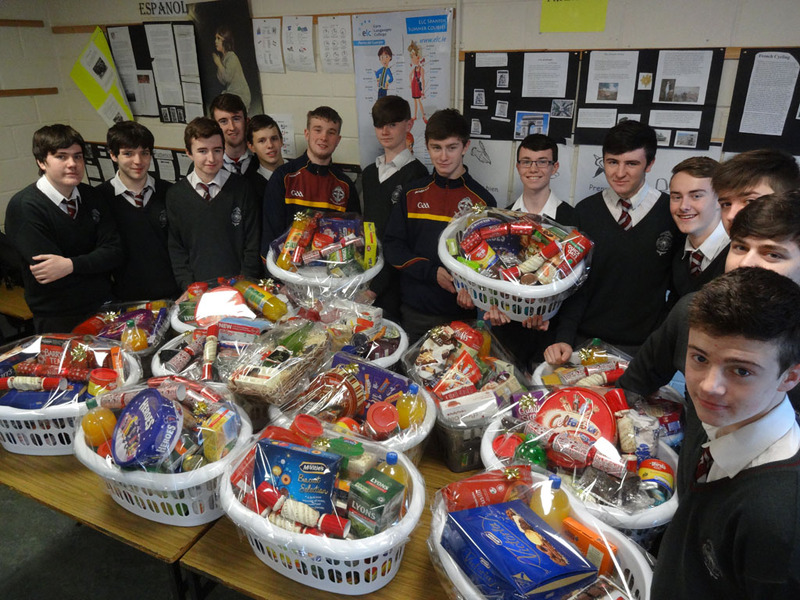 The LCVP students, who worked very hard to make this venture a great success with more than sixteen hampers being assembled, are delighted to support people in need in our community. We are very grateful to the St. Vincent de Paul volunteers for their continued work in support of those in need throughout the year. Many thanks to all the students who worked very hard and to Ms Ryan for organising the whole endeavour.